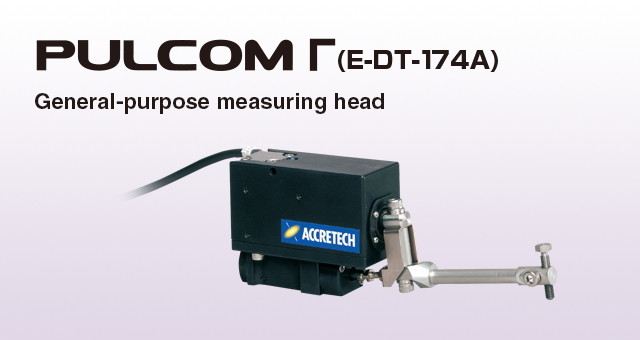 PULCOM Γ (E-DT-174A) General-purpose measuring head | TOSEI ENGINEERING CORP. The highly versatile lever-type measuring head is designed for measurement of displacement at one location. 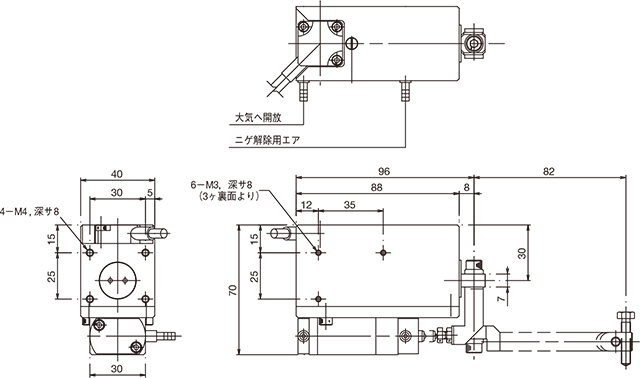 It provides a long stroke of 14.6 mm. The PULCOM Γ utilizes the same original L-shaped plate spring fulcrum as the PULCOM Σ measuring head, eliminating sliding and wear parts from the mechanism.